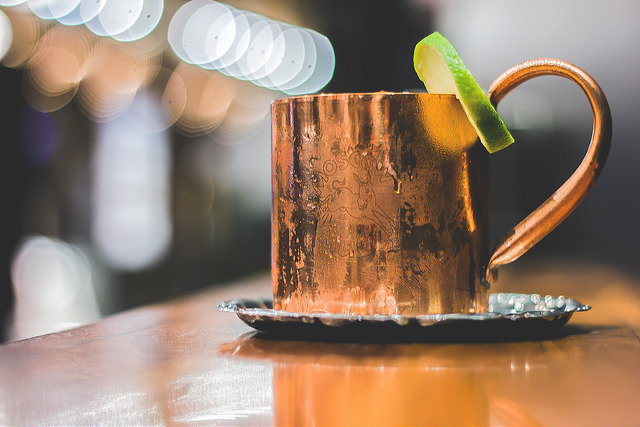 Copper Bracelets and Moscow Mules: Will Copper Heal You or Kill You? Copper bracelets have been used for centuries in folk medicine. They allegedly reduce the joint pain and stiffness associated with arthritis, and wearing copper on the wrist supposedly benefits all joints in the body. There are claims that copper has anti-inflammatory and antioxidant properties. The copper from the bracelets is said to be absorbed through the skin through a process called transdermal micronutrition. Science doesn’t support those claims. There is no evidence that copper can be absorbed through the skin in more than trace amounts. If it were well absorbed, it might cause copper poisoning. There is no good evidence that copper bracelets reduce pain or inflammation; in fact, there is fairly good evidence that they have no clinical effects. Any perceived improvement is due to the placebo effect, not the copper. Some copper bracelets are also magnetic; apparently two placebos are better than one! Prices range from around $10 to over $500. Several websites recommend them because even though they’re not evidence based, they are harmless and might help patients through suggestion. We can’t live without copper. It is an essential trace nutrient. It is found in a respiratory enzyme complex common to all plants and animals. It is a component of human liver, muscle, and bone. People normally get the trace amounts of copper they need from their food. Foods that are high in copper include liver, shellfish, whole grains, beans, nuts, potatoes, leafy greens, dried fruits, cocoa, black pepper, and yeast. Some water supplies have high levels of copper that can add up to 45 percent more copper than is obtained through diet. There is copper in tobacco smoke; it is absorbed into the body but doesn’t appear to cause any adverse health effects. Medical News Today reported that a preliminary study indicated that a new copper molecule showed promise in halting cancer spread and that another study showed that copper surfaces destroy norovirus. But yet another study suggested that copper in the diet was linked to Alzheimer’s disease. Copper deficiency is rare, usually related to gastrointestinal surgery such as gastric bypass. Acute copper toxicity can cause symptoms such as vomiting and jaundice; long-term exposure can cause liver or kidney damage. There is a hereditary condition, Wilson’s disease, where the body retains copper. Patients can develop liver disease and neuropsychiatric symptoms, and they often have a characteristic brown ring around the cornea known as a Kaiser-Fleischer ring. So copper is good for most people most of the time. But alarmist warnings about copper have been circulating recently in the media, centered around Moscow Mules, a popular drink made with ginger beer, vodka, and lime juice and traditionally served in a copper mug. These concerns are nothing new. Since 1997, the FDA code has prohibited food or drink with pH levels of below 6 coming in contact with copper at licensed premises such as bars or restaurants. Exposure to either copper containers or copper plumbing could conceivably cause problems. Snopes evaluated the media warnings and consulted experts at the CDC and rated the claim as “a mixture” of true and false. They pointed out that the rate at which copper leaches into drinks of various acidity is undetermined. It’s far from clear how long a cocktail would have to sit in a copper mug or how many Moscow mules a person would have to drink to experience problems. They quoted one expert who said, “Long before you reach the highest levels [of copper in a beverage], the drink gets a metallic taste, so this is really a warning that there’s too much copper in the drink. The poison is in the dose. Our bodies can handle small amounts of most poisons. Remember my SkepDoc’s Rule: before you believe a claim, try to find out who disagrees with it and why.